Dubai, UAE: InnJoo, the fastest growing smartphone brand in Middle East introduced its latest flagship offering InnJoo 4 powered by deca-core processor. The 8.5mm thin, 4G LTE smartphone draped in metal body sports premium design is now available in UAE for AED 829 at Souq.com. The InnJoo 4 displays 5.5 inches Full HD screen to offer a visual delight and vibrant colours. 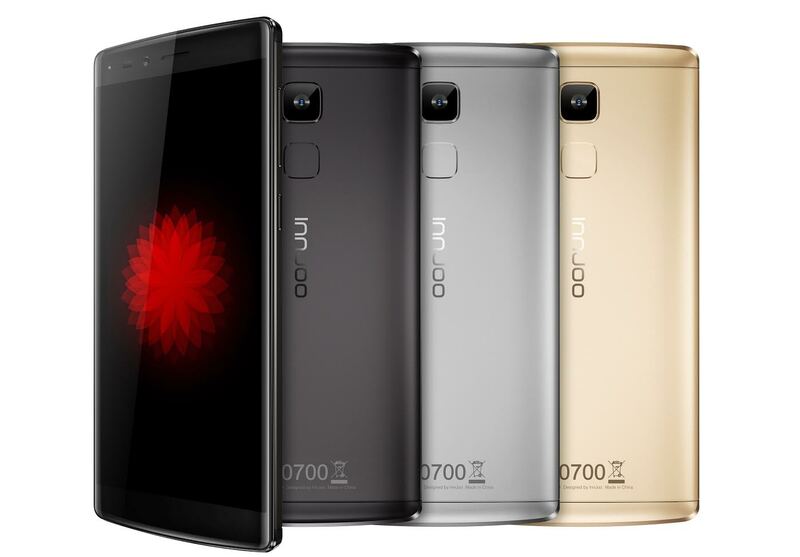 The new Dual-SIM, 4G LTE smartphone is powered by 2.3GHz deca-core MediaTek Helio X20 CPU and Mali-T880 GPU. The device comes with 4GB RAM and packs 64GB inbuilt storage with a flexibility to expand storage up to 128GB via micro SD card. Tim Chen, CEO at InnJoo said, “We feel pride in keeping our commitment to introduce products with latest advance high quality that are combined with splendid design and the latest innovations. The amazing new smartphone InnJoo 4 delivers elegant design with full metal body and fastest response fingerprint sensor technology recognition time (0.35s) and a lot of other rich features”. The exceptionally looking smartphone available in gold and black shades, sports a 16-megapixel rear autofocus PDAF camera with flash and f/1.8 aperture, whereas, the 5-megapixel front camera allows picture perfect selfie. The device is backed by a powerful 3400mAh battery for longer life. “The new Deca-core processor backed smartphone coupled with industry leading specifications and competitive price point, redefines the price-to-performance paradigm in the market. As always we are excited to deliver inspiring products that sets us apart from our contemporaries.” Chen concluded. InnJoo is a technical startup born with Internet DNA. Its Internet journey was started by joining hands with the largest e-commerce sites in the region. Based in Dubai, InnJoo became the fastest-growing company by providing smart devices as well as software services in the EMEA region.